NIST 800-53 and FISMA Focused Audit and Assessments; we are ready when you are! Lazarus Alliance Proactive Cyber Security® services minimize performance and operational risks with our industry-leading, innovative, and cost effective NIST 800-53 FISMA focused services. If you are a service provider seeking to do business with the government, you are undoubtedly seeking a compliance strategy with NIST 800-53 alignment. For NIST 800-53 services that reduce costs and leverages the number one ranked NIST 800-53 audit software platform, call +1 (888) 896-7580 to get started. You need to expand your business' services into government markets while minimizing performance and operational risks. Accomplish this with our industry-leading, innovative, and cost effective NIST 800-53 FISMA focused services. The foundation to the entire FISMA compliance Eco-system is the NIST Special Publication 800-53 which represents the security controls and associated assessment procedures defined in NIST SP 800-53 Recommended Security Controls for Federal Information Systems and Organizations published by the National Institute of Standards and Technology. Find out more by calling +1 (888) 896-7580 today. MarkLogic Corporation Partners with Lazarus Alliance for 800-53 Moderate Compliance Attestation Audit. Lazarus Alliance provides a solid road-map to your NIST 800-53 assessment requirements with our leading technology powered by Continuum GRC's ITAM SaaS platform coupled with our Proactive Cyber Security™ service methodology. "The end result is expert Cybervisor™ guidance, accelerated success, reduced expenses and sustainable compliance programs." The Lazarus Alliance NIST 800-53 attestation assessment becomes the bedrock for all of the current and future compliance mandates. We work smarter not harder to drive down your costs by giving you access to ITAM, the industries number one ranked NIST 800-53-ready SaaS GRC audit software solution. We invented ITAM in real-world NIST 800-53 audits and through years of experience working with our clients for our clients not against them with scope-creep and annual price hikes. Achieve success with the industry’s most proactive and innovative third-party assessment organization. Rely on our industry-leading Cybervisors™ who know the technical rigor and scrutiny you can expect during NIST 800-53 based assessments. 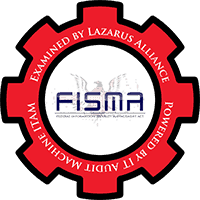 Lazarus Alliance services includes FISMA, NIST, DIACAP, and DCID 6/3 controls assessments, technology reviews, Security Assessment Plan (SAP), Rules of Engagement (ROE), and Security Assessment Report (SAR) development and automation, and vulnerability and penetration testing to provide a few examples. A significant differentiator you will immediately appreciate is our Proactive Cyber Security™ NIST 800-53 compliance audit methodology which take a continuous audit approach rather than the end of reporting period Audit Anarchy approach by other firms. Lazarus Alliance Cybervisors™ assist with NIST 800-53 documentation development, including System Security Plan (SSP), Contingency Plan (CP), Incident Response Plan (IRP), Configuration Management Plan (CMP), Privacy Impact Assessment (PIA), and Federal Information Processing Standard Publication 199 (FIPS 199) Security Categorization, Policies, Procedures and more. Our proven NIST 800-53 assessment approach and technology dramatically improves the completion process. We average a huge 46% reduction in the traditional assessment time due to the dedicated ITAM SaaS portal you have 24/7 access allowing everyone to get-in-and-get-out quickly. 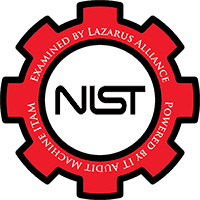 The NIST 800-53 assessment professionals at Lazarus Alliance are completely committed to you and your business’ NIST 800-53 compliance success. Regardless of whether you represent the private sector or the public sector, we stand ready to partner with your organizations. Call us at +1 (888) 896-7580 and speak to a NIST 800-53 Cybervisor™ today. Many assessment organizations out there claim to be qualified to deliver the NIST 800-53 Security Assessment Report. Accreditation and authorizations to operate as an assessment provider is essential when your company's survival and reputation is at stake. Lazarus Alliance is an A2LA ISO/IEC 17020 accredited organization certification number 3822.01. We want to be your partner and NIST 800-53 compliance audit assessor of choice! For additional information please contact us using the form to the right or calling 1-888-896-7580. Lanier Family &amp; Cosmetic Dentistry, P.C. Reproductive Medicine and Infertility Associates, P.A. Call 1-888-896-7580 for Lazarus Alliance Proactive Cyber Security© services.